Possibilities Hypnosis | Rhode Island Hypnosis, Hypnotist, Hypnotherapy or Hypnotherapist? You are here: Home / Rhode Island Hypnosis, Hypnotist, Hypnotherapy or Hypnotherapist? Rhode Island Hypnosis, Hypnotist, Hypnotherapy or Hypnotherapist? Why a professional hypnotist doesn’t use terms like hypnotherapy or hypnotherapist. Certified Hypnotists are not therapists in the traditional sense so we don’t call ourselves hypnotherapists or say we do hypnotherapy in Rhode Island unless we are also licensed therapists. We are coaches, advisors and personal change experts, but not therapists who work with people who are mentally ill.
We represent a distinct, separate profession. We might be called Certified Hypnotists or in my case a Board Certified Hypnotist. But we are not medically trained and do not provide therapy, diagnose or treat anything. Essentially we work with ordinary people who want to make an important personal change like quitting smoking, losing weight, better handling stress, changing destructive habits, handling relationship and career issues. Often we do work as part of a team under supervision of a physician, psychologist or licensed mental health professional. If someone claims to offer hypnotherapy, make sure they are in one of these classifications or run. In my last class as a Hypnotist Certification Instructor I had one student who was a licensed mental health counselor and he is now a Certified Hypnotherapist having taken my course. The others are Certified Hypnotists: they are all competent within our scope of practice but are advised to use the correct title. Sorry. There is no such thing as a regionally accredited Doctorate, Masters or even Bachelor of Arts degree in Clinical Hypnotherapy. These may exist one day and I hope they do, but right now there is no such thing. I know of some very competent hypnotists who use these “credentials” but the National Guild of Hypnotists of which I am a Certified Instructor strongly advises against using non-accredited “degrees” as damaging to our profession. You will find more information about these degrees on Wikipedia. Click here. For the rest of us, our training and qualifications are real and should be disclosed openly. My Bachelor’s Degree is in Psychology (top 10%of my class at Hofstra University, Hempstead, NY). My Masters Degree is in Literature (National Uiversity of Ireland, Dublin). I am Board Certified in Hypnotism by the National Guild of Hypnotists and a Certified Instructor of the NGH Training Program). I have thousands of hours additional training in hypnotism and coaching from NGH and a variety of other programs. Professional terminology is left up to the states. But this is what the U.S. Department of Labor’s Dictionary of Occupational Titles description says about hypnotherapists (and the alternative we use in Rhode Island “Hypnotist”). 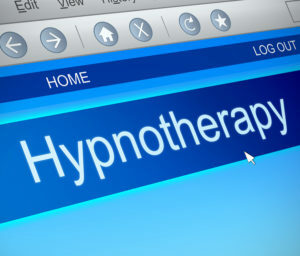 Induces hypnotic state in client to increase motivation or alter behavior pattern through hypnosis. Consults with client to determine the nature of problem. Prepares client to enter hypnotic states by explaining how hypnosis works and what client will experience. Test subjects to determine degrees of physical and emotional suggestibility. Induces hypnotic techniques of hypnosis based on interpretation of test results and an analysis of clients problem. May train client in self-hypnosis conditioning. This is a national definition of the profession. In Rhode Island and Massachusetts, we do not use the term hypnotherapist unless we are also licensed mental health counselors. Certified Hypnotists and Hypnotic Coaches do not diagnose or treat anything. We refer to a licensed therapist if we believe a potential client’s issue is outside our scope of practice. We are professionals who are trained to help you analyze situations and think through options. We provide motivational support and hold you accountable for change. Obviously, there are overlaps between what a licensed mental health provider does and the services of a Certified Hypnotist or Hypnotic Coach. And certainly people who would not consider themselves mentally ill go to licensed therapists to work on particular issues. Consulting Hypnotists help ordinary people with ordinary, everyday problems using individual hypnotism techniques. A Hypnotic Coach’s work tends to be brief, concentrated and effective. A typical client comes to a Hypnotic Coach because they want to make some important change that has them stuck. A Hypnotic Coach or Certified Hypnotist may work in conjunction with a client’s therapist, particularly when the therapist feels he or she has hit a wall with a client and wants a fresh approach. Want to try hypnosis and hypnotic coaching but don’t know where to go to? Don’t worry. You are not alone. Many people never get to hypnotism because they can’t figure out who to call. And that is unfortunate. For many issues a professional hypnotist should be the first professional to look to, rather than the last. In any healing relationship, trust is essential. But this is especially important when inviting someone to work with you on your own thinking patterns. You want someone you can trust to not only understand your issues but to have the knowledge, skills and sensitivity to intervene effectively. But how do you find them? Some physicians refer to Certified Hypnotists and Hypnotic Coaches. Most have no idea to whom they can refer. A few traditional therapists refer to hypnotists for particular issues. Most people choose a hypnotist because a friend has been to him or her and got good results or based on their internet page. Don’t have a friend who can recommend a hypnotist and your physician doesn’t know anyone? Don’t give up. It is worth continuing to look. Because Hypnosis may be exactly the answer you have been looking for and it is worth the effort to find the hypnotist who is right for you. I earned board certification by the National Guild in 2012 through examination, acceptance of an original paper and following a peer review. You can find the details at the National Guild of Hypnotists’ website.